The KM-BT10 Bariatric Wheelchair features a foldable and robust frame design, easy to stow and lift. Energy saving self propel mechanism, full detached and flip-back armrest, ergonomic armrest, press-down design for swing away detachable footrests with adjustable multi-directional footrests. 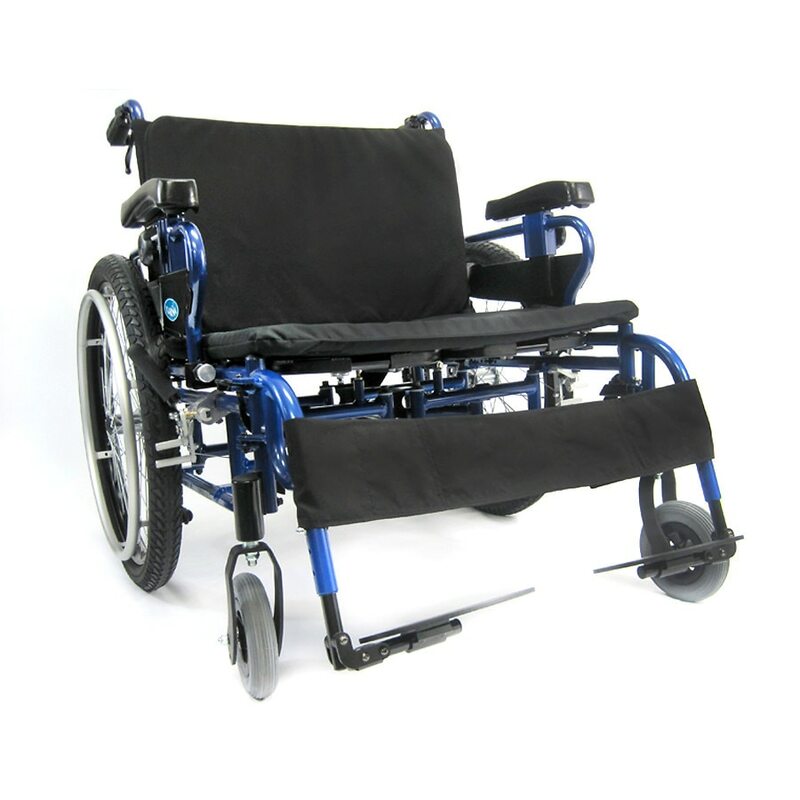 It has attendant and user brakes, bracing bar for strength and to assist the attendant to position the wheelchair, unique swing away anti-tipper design, prescription – based seat and back system to fit various needs of different body sizes, and adjustable axle plate which allows for center of gravity adjustment for optimal performance and function.